A few of the top names were missing but there was still some very strong talent in the field, including one of the fastest ocean racers in the world, Beau O’Brian and the Ironwoman Queen Karla Gilbert. 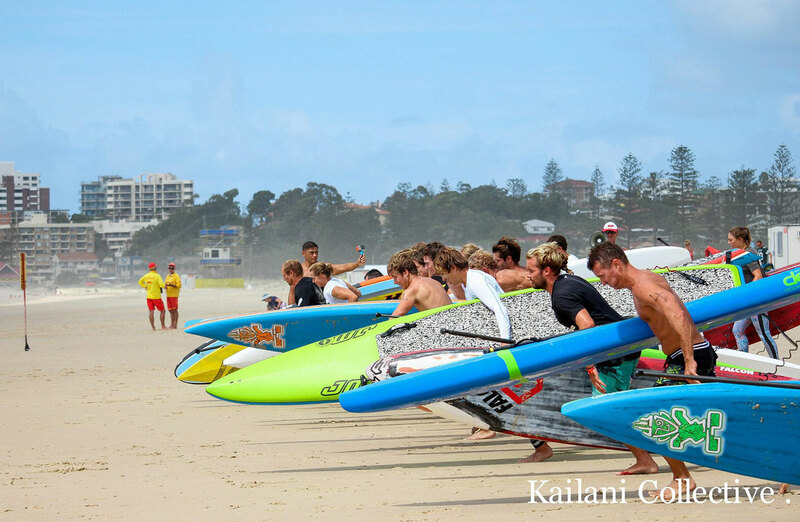 Winning the main event – the downwind/ocean race between the iconic surf breaks of Kirra and Burleigh Heads – was Michael Booth, a supremely talented surf ski/kayak racer that’s been focusing more and more on stand up the past year or two. Michael is definitely a name to watch in the future, while his performance on the weekend underscores just how frighteningly deep the talent pool runs in Australia. Runner-up today was another fast-rising talent in Matt Nottage, who crossed the line at Burleigh Heads less than a minute after Booth to back up his strong performances at the King of the Cut last December. Paul Jonesy was third over the line on his 14 footer, with Beau taking 4th in the line honours and 3rd in the battle of 12’6 boards. In the depleted women’s field, Karla had it all her own way. She was always going to win so the question then become “by how much?” In the end, Karla crossed the line 14 minutes clear of runner-up Chloe Walkerdene, while she beat the vast majority of men as well. There was also a BOP-style race held yesterday, which was taken out by king of the waves Kelly Margetts and reigning ISA champ Shakira Westdorp.